Fully formed in 1973, the Walker Art Center’s Film/Video department has hosted a range of filmmakers, actors, and critics through its extensive programs of screenings, artist talks, and residencies. This blog series showcases some of our favorite visitors. Imagine that it’s the late 1940s and you’re about to go to the cinema. The majority of films coming out at that time are in black and white. You walk into Michael Powell and Emeric Pressburger’s The Red Shoes and you are ushered into a new world. A ballerina spinning out of control, fantastical plotlines, and color, lots of color. So much of the film is focused on the color red, and you start to understand the danger that comes with this ferocious shade. You find yourself mesmerized. Never before have you come across such a captivating film. The audience claps and your feet are still stuck to the floor next to nibbles of popcorn. Thank you, Mr. Powell and Mr. Pressburger. His visit initiated a splash of headlines on newspapers across the Twin Cities. The previous year, he had a retrospective at MOMA and this rippled into a resurgence of excitement for his films. While Powell was perhaps not a very familiar name, his connections with Alfred Hitchcock, Martin Scorsese, and Francis Ford Coppola certainly brought him well deserved attention. Fourteen of his films were shown at the Walker throughout June and early July of 1980. They included: The Red Shoes, Black Narcissus, I Know Where I’m Going, The Spy in Black, The Thief of Baghdad, and Peeping Tom. Peeping Tom was the only film that brought bad press and this was because of its disturbing subject matter. Because of the film’s blatantly violent scenarios, the Women Against Violence Against Women group chose to picket the screening. The film temporarily banished Powell from the British film world. Peeping Tom tells the story of a man who murders women in front of a camera in order to capture their last looks before death. When the film opened in theaters in 1960, audience members and critics alike were horrified by the storyline. Despite the initial reaction, Martin Scorsese rereleased the film 20 years later and it is now hailed as a British masterpiece. According to Twin Cities Reader, around 20 people showed up outside of The Walker to protest the screening. Powell’s visit to the Twin Cities was short but jam-packed. 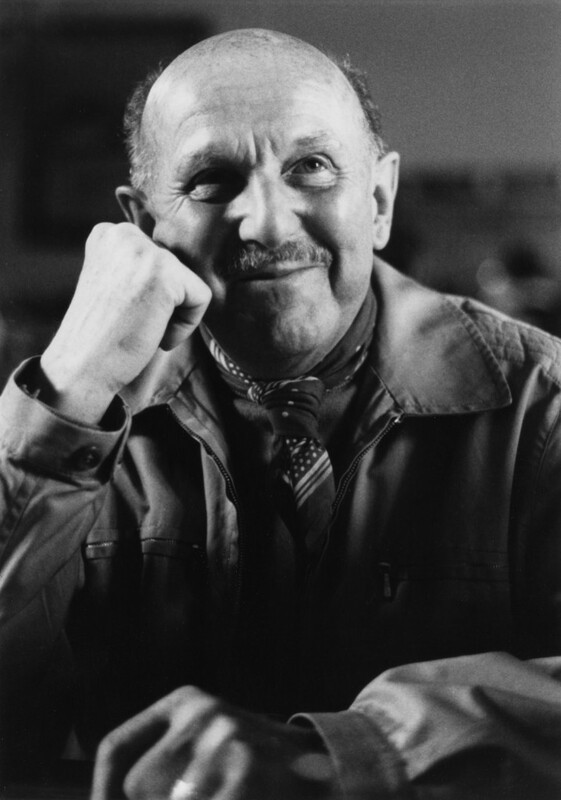 He conducted numerous interviews and attended many dinners, one being at an old Minneapolis favorite: New French Café. The Walker’s Film/Video curator at the time, Richard Peterson, was eager to bring Powell to theater performances at The Guthrie. Powell especially wanted to see The Tempest (directed by Liviu Ciulei); a play that he had always intended to translate to the screen but never gained enough funding. Powell had lunch with Ciulei the next day to discuss the piece. Powell was able to introduce two films at the walker, Black Narcissus and The Red Shoes, which were both filmed in Technicolor and involve dramatic plotlines centered on escapism. The harmony of color and music energize scenes and make it almost impossible for viewers to look away. When the films were made, World War II had recently ended and Powell and Pressburger were sick of making war films. As Powell explained to the Minneapolis Star, they decided to “explode in color in a big way.” These films generated excitement across audiences worldwide. Michael Powell’s visit was a milestone for the Walker and represents the incredibly diverse range of artists the Walker has been lucky enough to host. Powell’s work not only celebrates the excitement and joy films can bring but also the ability that a film has to transport one into a new (and colorful!) world.